Everyone knows Howard Hughes was obsessive-compulsive (among other things) and I bet lots of us who grew up on Double Dare shudder to think of the OCD Marc Summers dealing with all of the goo and muck as the host of the messy game show. Despite her memorable "hair gel" scene in There's Something About Mary, Cameron Diaz can't stand germs and other people's "fluids", as she puts it. She says she rubs doorknobs so hard to get them clean before opening them that the paint wears off. She washes her hands and floors "many times" every day and uses her elbows to open doors so she won't get germs on her hands. 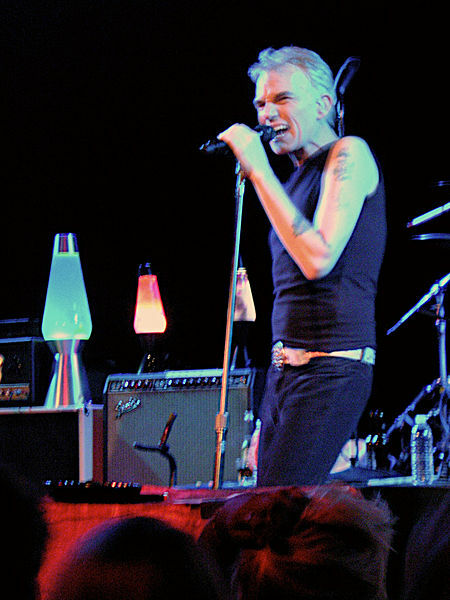 Billy Bob Thornton became good friends with neighbor Warren Zevon when Warren saw Billy Bob return to the mailbox three times in the span of a couple of minutes. Warren identified Billy Bob as a fellow obsessive-compulsive and the two of them bonded over their phobias. Among Billy Bob's is a phobia of antique furniture, which he wrote into a character in Sling Blade. He also fears some kinds of silverware, which shows up in his Monster's Ball character. Sure, he's good looking, talented, funny, has great hair and lots of money, but David Beckham has his struggles, too. He hates odd numbers and is obsessed with symmetry - if there's three of something, he has to hide the third somewhere out of sight. If something's slightly askew, he can't rest until the row has been straightened. Before he can settle into a hotel room, he says he puts all of the books and pamphlets together in a drawer. You have to wonder, though, if his odd number phobia means he and Posh will be adding to their brood – currently three boys – soon. You know the old saying, "Step on a crack and you'll break your mother's back"? 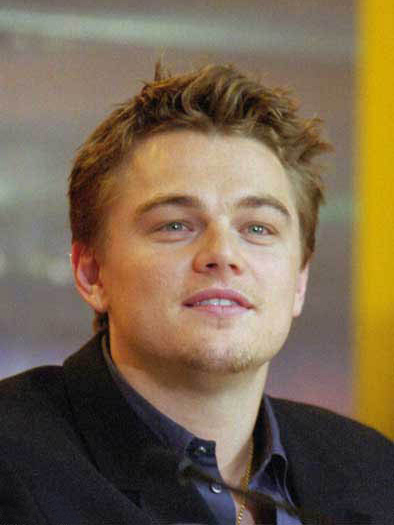 Leonardo DiCaprio used to take that little rhyme very seriously. As a kid, he could not step on cracks or other designated spots. He overcame this particular disorder until he played Howard Hughes in The Aviator. He revisited his old ways to try to get into Hughes' famously phobic character and ended up falling back into the habit – he was frequently late for filming because he had a specific way he had to walk to get to the set and would have to retrace his steps if anything went awry. Alec Baldwin says he has developed quite the fixation on cleanliness over the years. He says he can come home and immediately tell if a book is out of place and insists on doing household chores before his housekeeper does, even to the point that he will miss a plane if it means getting his dishes done. I can relate to this one – Jennifer Love Hewitt says she can't go to sleep if there are any doors open in the house – including cabinet doors and closet doors. She thinks she inherited her OCD from her mother, who counts steps. I do that, too. 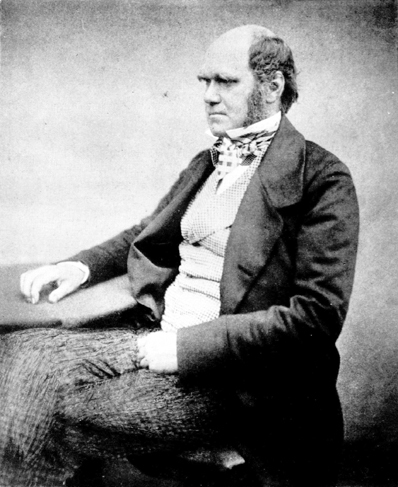 It's not just contemporary celebrities who suffer from OCD – evidence shows that Darwin may have suffered from OCD, among a laundry list of other possible disorders, including panic disorder, agoraphobia and hypochondria. This may be one of the causes of his detailed accounts of things – he even recorded how loud and strong the ringing in his ears was on a daily basis. 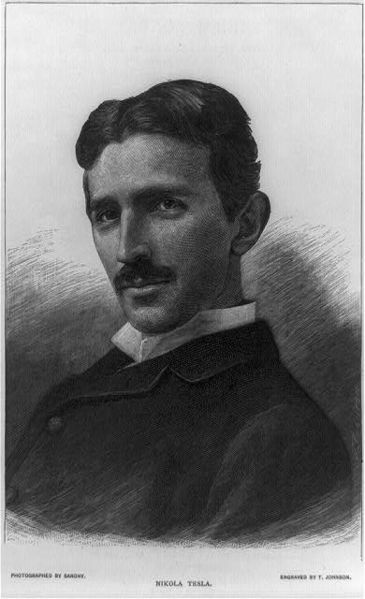 No doubt Nikola Tesla was a genius – he was an inventor, physicist, mechanical and electrical engineer. He was also an extreme germophobe – he hated hair unless it was his own and found jewelry disgusting. He did things in three or numbers divisible by three; he always used 18 napkins, estimated the mass of everything he was going to eat and would not eat with a woman if it was just the two of them. Of course, this is by no means an inclusive list - in addition to the previously mentioned Howard Hughes and Marc Summers, there's also Delta Burke, Zach Braff, Howie Mandel, David Sedaris, Joey Ramone and more. This is for Scotty. Have you tried Paxil? I must add that Paxil caused me anxiety so I had to take Xanax with it. I only took half the regular dose for an 8 month period. My ocd consisted of not being able to walk around my house or anywhere barefoot, if I did I had to wash my feet because I could feel the dirt. Also, I washed my hands about 50 times a day. Additionally, if anyone came over who wasn't "clean" I had to scrub the couch and floor where they walked or anything they touched, even the doorknobs and walls. I never thought I would get rid of it but it just took time for the neural connections to weaken-I think the Xanax really helped too because it got rid of the anxiety response. I'm not cured, I have to wash my hands or use a wipe if I touch a garbage can to throw something away. I also have straight obsessions or thoughts that repeat in my head but I am 95% better than I used to be. Yeah I have a touch of symmetry ocd, I need to balance any touch on my body with the other side. But I can ignore it most of the time. The cure for OCD, the most vital part! I remember, when I was afraid to put my finger prints on anything because I was afraid that if a crime was committed around where I left my finger print, that I may be wrongfully accused. I remember someone had let me borrow some dvd's. I grabbed them without thinking and then I thought of my finger prints. I got a lot of anxiety and then said to myself, "What a minute! I'm afraid that if I leave my finger prints on these dvd's that if a crime ever happens at my friends house, they're going to dust for prints on the dvd's and I'm going to go to jail for something I didn't do! Ha! When I said it to myself, out loud is better, you hear how ridiculous it is and you can't help but laugh. Also telling someone else really helps your brain to look at it in a different way. So one secret to curing OCD is to cause your brain to see it in a different way by making it look ridiculous to you, which will make your brain naturally question your actions. At this point you are then able to retrain your brain a different way, because you have opened your brain up to the possibility that what you are doing may be the wrong thing. So when I looked back down at the dvd's I not only refused to do my ritual of using the end of my sleeves to handle the dvd's, I defied my ritual and put an excessive amount of prints on them. This huge wave of anxiety came over me like, ya, this is fun, but I have to wipe those off later. Then I said, no, and I touched the inside of the case and the cd and everywhere so that I couldn't possibly remember where are the finger prints were, now I was past the point of no return. I could not control it and I had to "let it go." So I just said to myself, "What's done is done!" and "I don't care, I know this is not productive and I'm tired of doing things I don't want to do and I refuse to give into rituals anymore, lol I don't care, do your worst fear!" I then realized that I just feared fear itself and I got this feeling like, man this is going to bother me, but I find that whenever I said that to myself, It never bothered me as long as I thought it would and I would eventually forget and that's the key. After I defied my ritual with the dvd's and did what was most uncomfortable to me, which was exposing myself to my fear and going through it, once I went through it, I came out on the other side a free man! I felt like I was free, that I could do anything! It's the most exhilarating experience and now, if OCD ever tries to come up during high anxiety situations, I get excited because I get to use this at will and I have used it to overcome numerous fears with lasting success. This is not some therapy you need to pay someone for, this is a technique that you can have in your toolbox that you can use anytime you may feel OCD come up. At first it will be hard, but after a while it gets so easy, and then you may spend several months forgetting you even had OCD, it's crazy. I know this works, it's not theory, it worked for me, it's worked for my colleagues. This is the real deal. I HAVE BEEN AN OCD SUFFERER ALL MY LIFE.LONG BEFORE IT WAS A FAD!IM 36.OCD CAN BE HELPFUL.IT CAN PUSH YOU FARTHER THAN OTHER PEOPLE.IN ATHLETICS,WORK REALATIONSHIPS.EXAMPLE BODYBUILDING,BECAUSE YOUR OBSECED WITH BEING PERFECT YOULL WORKOUT LONGER.OR BEING A TRIATHELETE. YOU'L RUN THAT EXTRA MILE ,SWIM THAT EXTRA LAP.TRY TO CHANEL YOUR OBSESSIONS IN A POSOTIVE DIRECTION.I LIKE TO WORKOUT ,BECAUSE IT REALXES ME,AND I DONT HAVE AS MUCH ANXIETY.GETS RIDE OF ALL THE NERVOUS ENERGY.THE WORST THING TO DO IS DWELL ON YOUR OBSESSIONS.STAY BUSY,KEEP YOUR MIND MOVING!AND MEDICINE DOES WORK FOR ALOT OF PEOPLE!UNFORTUNATELY FOR ME AFTER A YR OR SO THEY WEAR OFF!